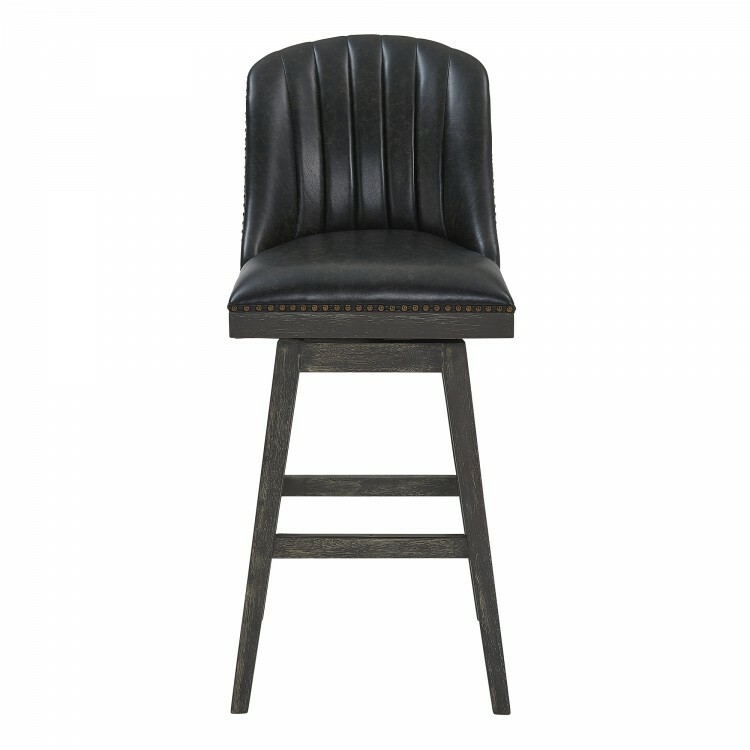 The Armen Living Journey modern barstool is an ideal choice for the contemporary household. 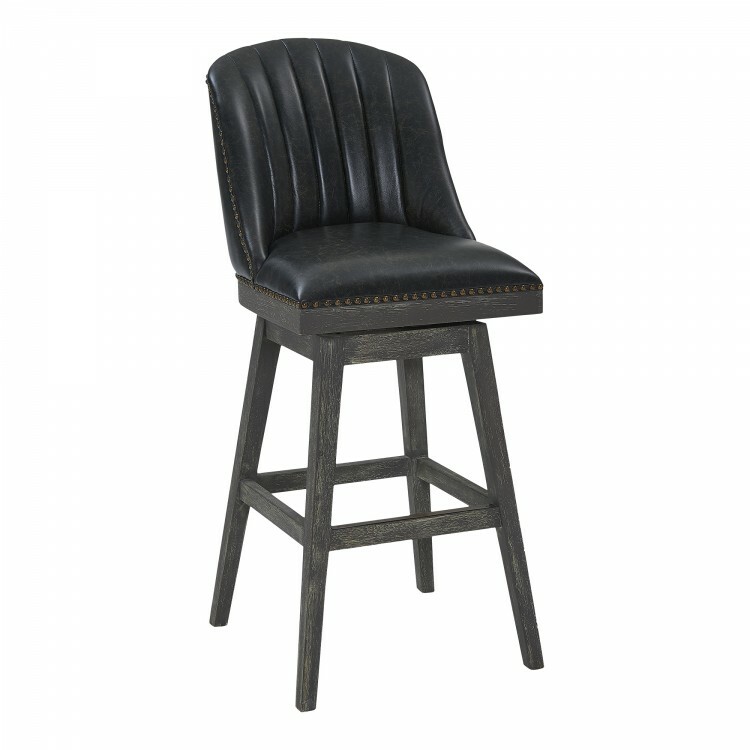 Featuring a dependable rubber wood frame, the Journey barstool is a testament to longevity and reliability. 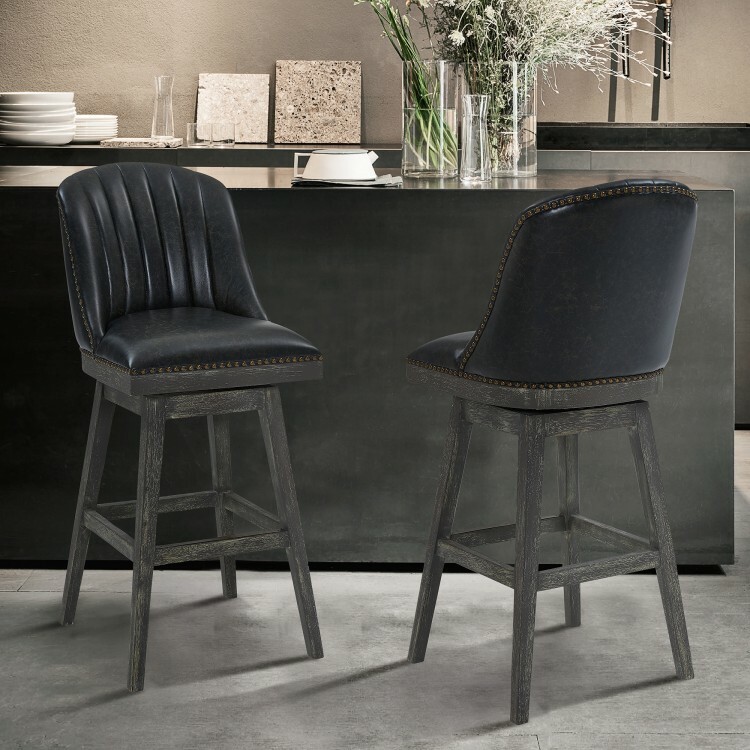 The barstool’s foam padded, tall back design includes a ribbed texture that presents a unique contemporary aesthetic without compromising on comfort. 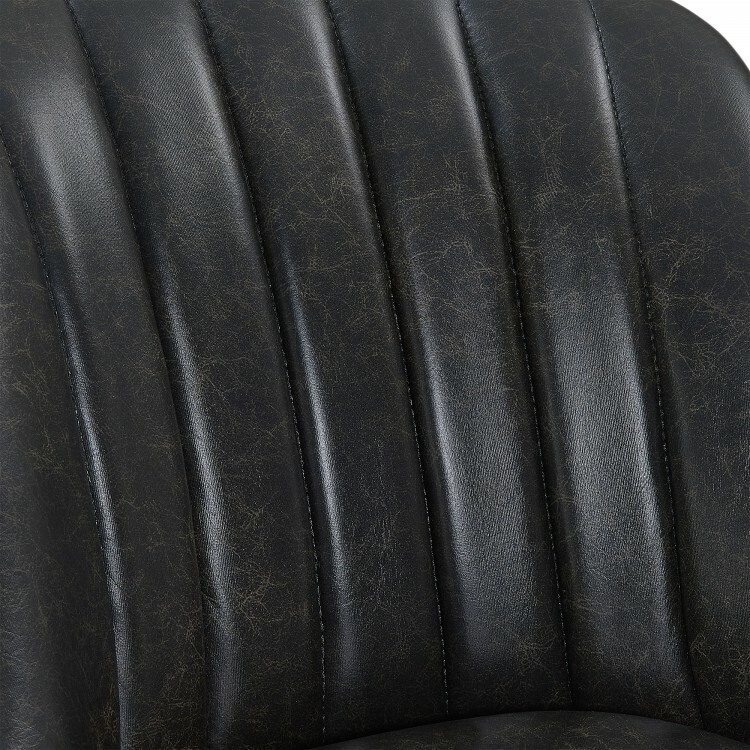 The Journey’s seat includes a 360 degree swivel function that allows for enhanced mobility while seated. The added footrest provides additional support, while the included floor protectors on the feet of the barstool assure that the Journey will not damage your floors when moved. 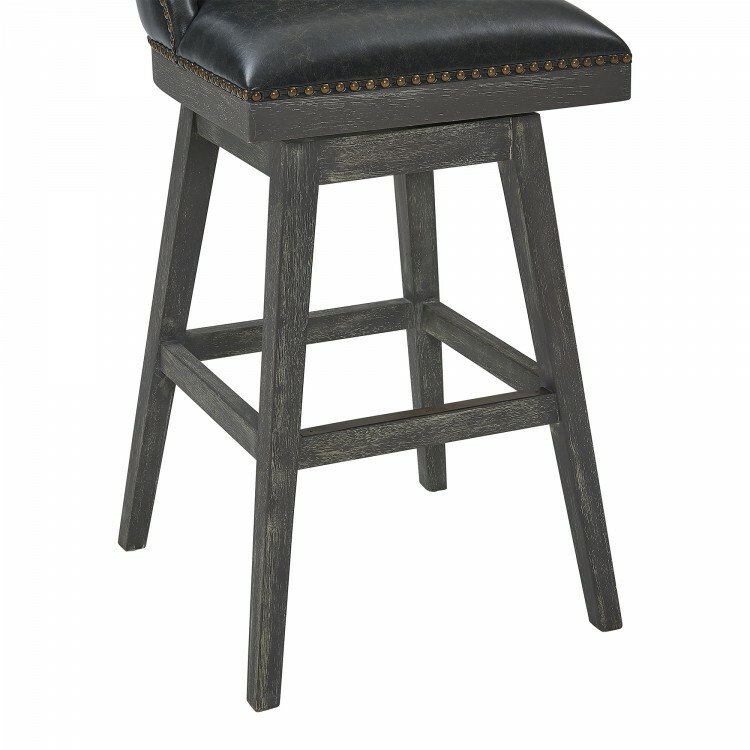 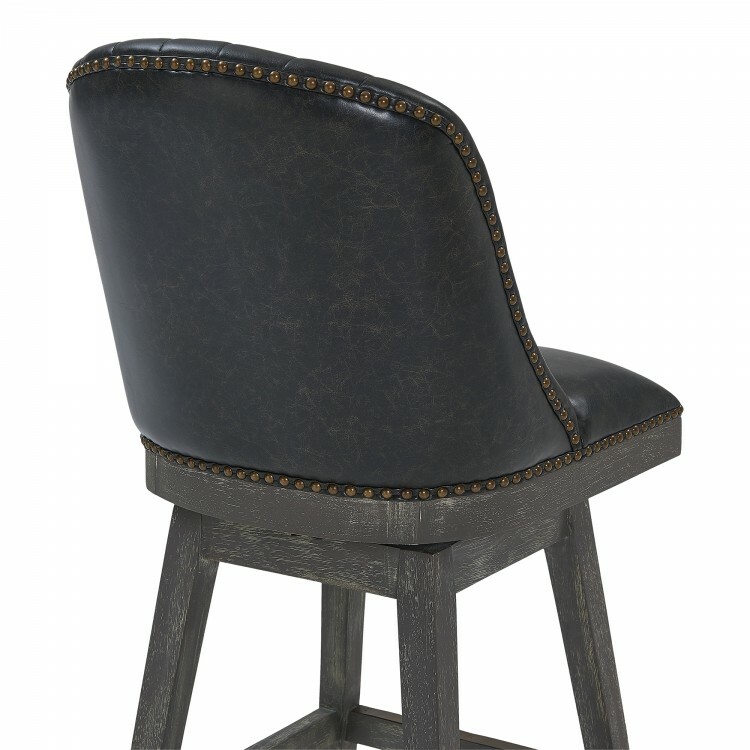 The Journey barstool features an American Gray finish and is sold in two industry standard sizes; 26 inch counter and 30 inch bar height. 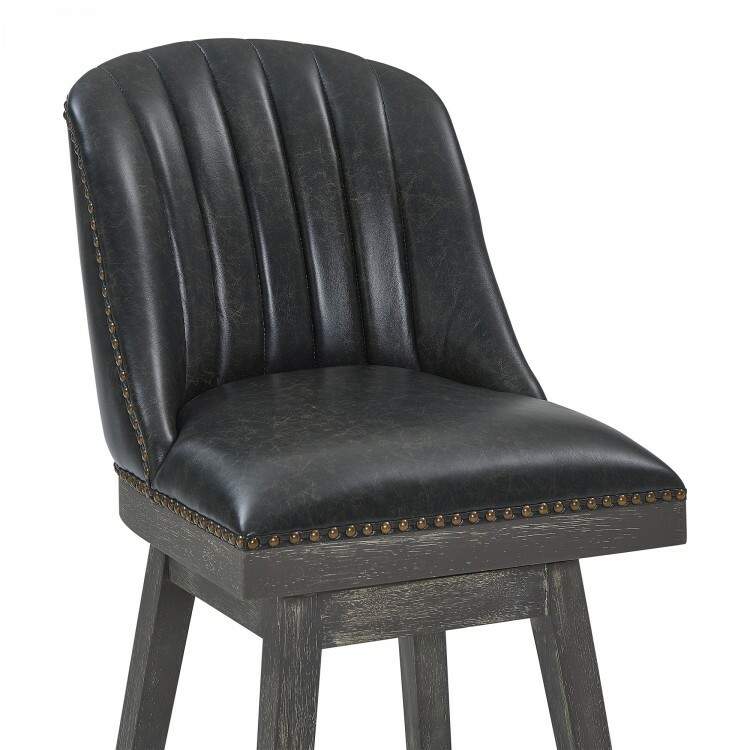 Product Dimensions 19.5" W x 24.5" D x 42" H SH: 27"